Autumn is officially here. Many parts of the country are already getting those cool fall temperatures. Perfect for curling up with a book, a blanket, and a hot cup of tea. Here in Florida, we don't really get fall weather until about December, but that doesn't stop me from lowering the AC and putting myself in a fall state of mind, hot tea and all. Until recently I was never really a hot tea person. I have always loved (iced) coffee and I adore ice tea, but maybe the Florida weather hindered my hot tea obsession for awhile. It was rekindled when I got really sick one time. I could not smell or taste, and it was killing me. I used hot tea to soothe my throat and it had mint in in (and lemongrass) and it helped ease my sinuses too. Now I can't get enough hot tea. Still, preparing water, waiting for the tea to steep and such is not my most favorite thing to do. I hate waiting. I am all about convenience, especially when it does not compromise the quality. That's why I love Teasia Tea. 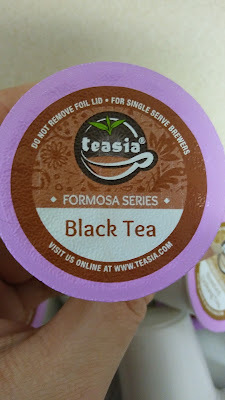 They have amazing teas that come in k-cups. A cup of delicious hot tea has never been so easy. 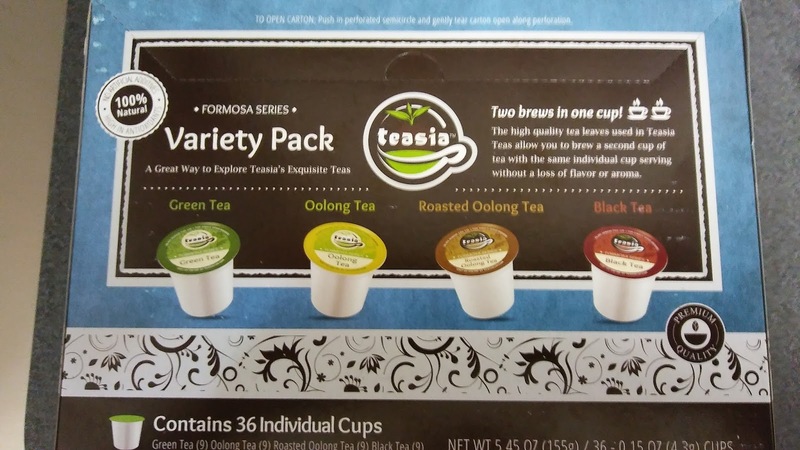 I tried the Formosa Series, it is a variety pack that contains 4 wonderful kinds of tea: Green Tea, Oolong Tea, Roasted Oolong Tea, Black Tea. They are all delicious. My favorite has to be the Green Tea. I have always been a huge fan of Green Tea. I love it with honey and lemon or with Splenda, I am not into unsweetened tea. The Oolong Tea is wonderful as well. It is like the perfect balance between green tea and black tea. It is light and refreshing, with a hint of warmth and sweetness. Delicious. 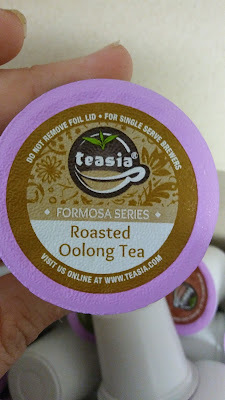 Then there is Roasted Oolong Tea. I had never tried that before, but it is very good. It is more complex than the other varieties. It has a deeper, richer flavor that lingers. It's definitely something special. Last, but not least is the Black Tea. This is the classic tea that is oh-so-perfect for making iced tea. While it is good hot too, I will always prefer this kind of tea iced, sweet, and with lemon. Yum! 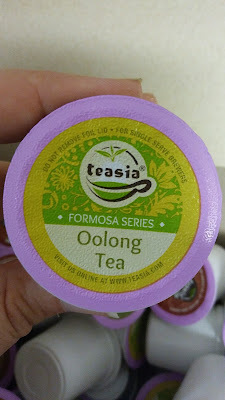 All of these teas are as good or better than any I have used in tea bag or loose tea form, and they are much easier and faster to prepare, plus they are sealed to keep the tea even fresher. 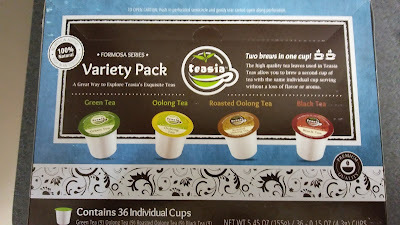 I am definitely hooked on Teasia Tea now. They have a Floral Series too, and I must try it. I am going to use the code: FSANDREA to get free shipping. You all can use it too. 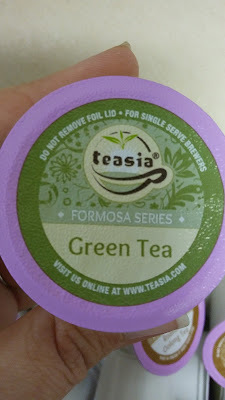 If you feel like you need to try Teasia Teas too, you are in luck. Teasia has been kind enough to host a giveaway. 3 winners will each win a 36-count box of tea ($24 value). One winner will receive the Formosa Series shown in my review, one will receive Jasmine Green Tea and one will receive Oolong Tea. Enter below for your chance to win one of these amazing teas. Good luck. I would love to try the oolong tea. I'd like to try the Chamomile mint tea. 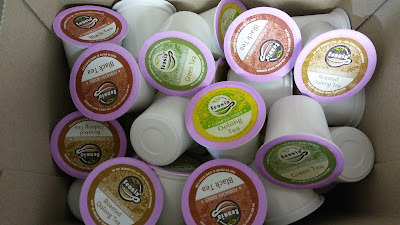 I enjoy tea & like trying new flavors and brands! I'd like to try the Rose Black Tea. I'd like to try these because I like trying new brands and flavors. It's good that you write about it on your blog. I like this information.